Some photos from our shoot with Gilbian Maytie of Chris Bunjamin Studio for INTERWOVEN, Unearth’s first anniversary event. Save the date! Saturday 27 April, Ikebana Ikenobo demo starts at 11.30 am followed by Fbudi for Canaan presentation. Beauty in life is nothing but interactions between elements in fleeting moments. Fibres are intertwined from cottons creating beautiful entanglement in a piece of fabric. Soil, alloys, and stones are expanding, contracting and forming an expressive vessel out of fire. Flowers and petals are blooming their way out of gravity to be then withered slowly. The concept that things (and us) only exist briefly; it is a beautiful reminder to be aware of our own impermanence. For our first anniversary celebration, Canaan and Ayu Larasati Ceramics are collaborating with artists and designers in their respective fields, unearthing the theme of ephemerality and integrity of natural materials. The dialogue and dynamics between collaborators that happened when faced with limitations and constraints during the process of creating are the ones that is most highlighted in the exhibition. We will start with an opening exhibition at the end of the month followed by a month long of celebratory events. On March 28th we had our first fitting of our Canaan x Fbudi collection at Felicia Budi’s atelier in Ruko Roxymas. It was quite exciting for us as it’s the first time we collaborate with a womenswear designer and feeling the collection for the first time. Our founder Emmelyn Gunawan tried on the pieces on herself to see how the pieces fit into her body. We discussed about how they would be presented during our launch as Felicia can only commit to producing 20 pieces for the first drop with consecutive drops every weekends. With the fitting all done we can now move forward to our photoshoot and marketing campaign for the collection. Wish us luck! Our new find, wabi sabi ceramic ware that are made by an Indonesian potter based in South of Jakarta. Launching soon at Canaan Bali and at a new space. Stay tuned. KaIND or Kain Indonesia is a local Indonesian brand that specialises in naturally dyed technique combined with batik mastery based from Pasuruan, East of Java. We met the founder Melie Indarto recently to share our ideas of collaboration as well as listening to her beginnings. 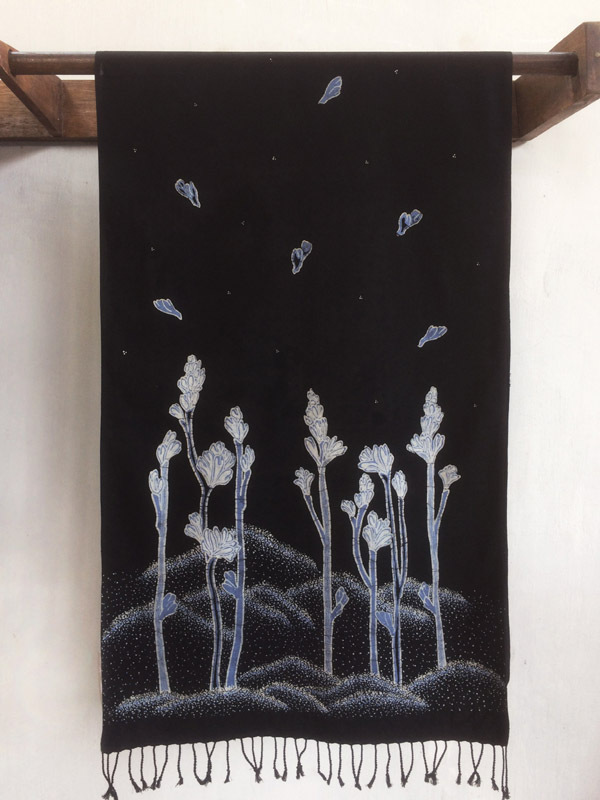 Melie a native Pasuruan grew up with the love of textiles and in 2014 stumbled upon a dyeing batik workshop that sparked her enthusiasm to give it a new lease of life. Fast forward to 2019, Melie has not only revitalised that particular batik village in Pasuruan but she has now a team of professionals who can take care of her administrative work and orders. We were lucky enough to catch Melie in Jakarta and it was great that we could pick and choose her collection that we know our customers would very much love. 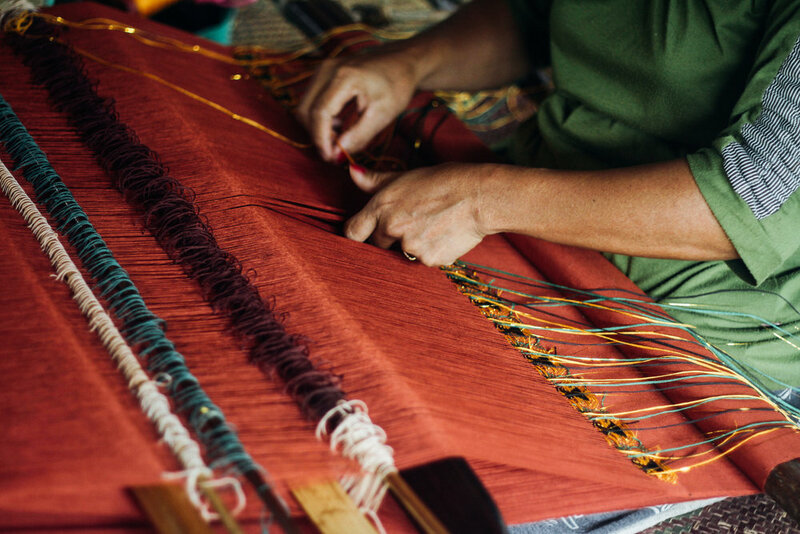 Melie and her team fused the traditional Pasuruan symbols such as the Bromo Mountain, Chrysanthemum flowers, Tuberose onto their handwoven scarves. 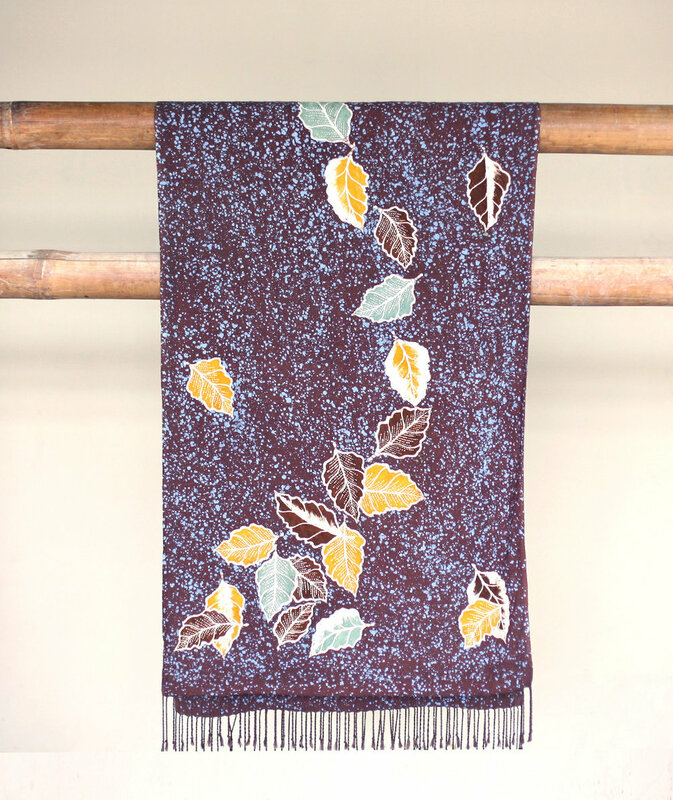 Their latest eco-silk scarves used 100% silk and dyed using leaves that are brushed through the fabrics to create their natural printed motifs. New drops of our Marigold and Indigo Shibori collection at Canaan Bali and Unearth Space this week all made of organic Cotton crepe. Mizue-san is a good friend of ours from Bali, after living there for almost 20 years she is now developing our clothing ware with a small and passionate team of Balinese tailors. 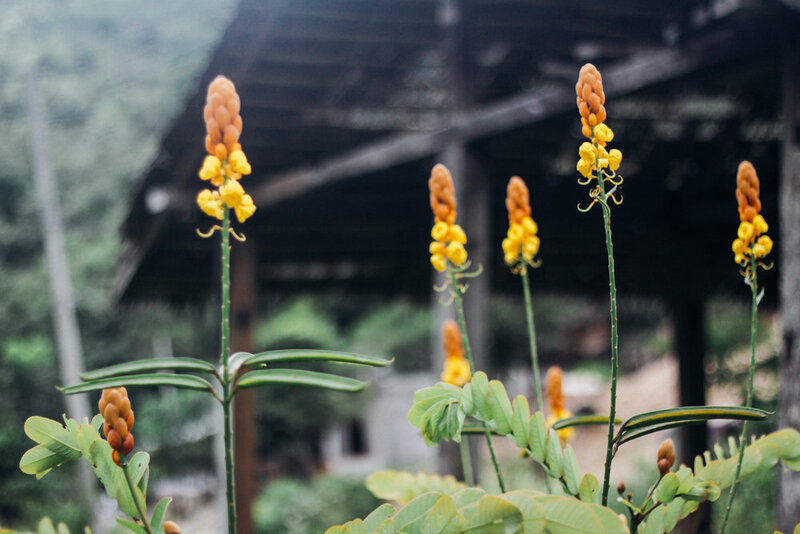 She creates her own natural-dye vats and extract colors from natural plants that she source locally. Come see the collection in-store. Did you know the story of Alice Through The Looking Glass? The writer Lewis Carroll wrote that Alice found her way inside a mirror and discovered a whole new world, a fantastical world where chessmen are alive and objects could talk. Alice had the ball of her time and although it was a dream it felt very real. Often we feel like Alice, especially when we found new products and the process of curation starts there. We conceptualise colours and styles in our visual mind and try to make them into reality. Our most favourite activity as our audience can already tell by now is when we are merchandising the store, it does feel like time can stand still, in the midst of the moment we are frozen in time. The start of a new love they say feels a lot like that, the beginning of a relationship, for us this is very much similar. A few days ago someone asked us what is our pastime activity? Truth be told, we love what we do so much it is like waking up and eating, it is like second nature it keeps us moving forward and challenged. It starts with an idea, creating many scenarios and processes to make it happen, that is exciting, gut wrenching, at times sad and disappointing but it is the only way we know. Canaan is our true love story. Fbudi known for her sleek and sublime collection of womenswear will be collaborating with Canaan on a capsule collection for Unearth First Anniversary that will be celebrated during the month of April. This is Canaan’s first collaboration with a womenswear designer and we will be documenting the processes such as Felicia Budi’s initial fabric selections and seeing her sketches come to life. We are continuously reminded of our target audience: the women who will buy this collection. She decides on quality and materiality over fast fashion, who would prefer to have a few classic pieces than a wardrobe full of clothing. Perhaps someone who keeps a journal, has an active social media account to look for information and she supports her local causes. She’s independent, aware and strong. Thanking my partner Ayu Larasati at Unearth for always initiating programs that challenge our capabilities and elevating our strengths. 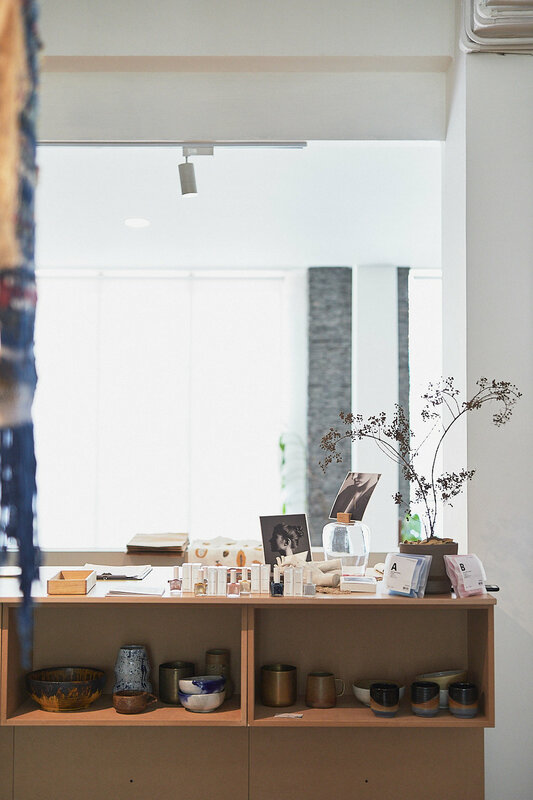 Fbudi studio and by-appointment only atelier at Ruko Roxy Mas is a beautifully curated space showing her collection and accessories. For more information on Fbudi and her story please go to her website. For the second time in a row, Canaan Boutique and Gallery has been selected by the prestigious Condé Nast Traveler as one of the 10 best stores for shopping in Bali. An impressive accolade for us as we are reaching into our third year in April 2019! Read the full review here. Main image shot by Photographer Andito Wasi. The say to travel is a luxury one can afford and traveling around Indonesia is a whole different experience like no other. As we reflect back to the journey of opening Canaan there is always that one adventure that took us back in time. A beautiful time. Tana Toraja, the south of Sulawesi, a land with ancient beliefs or as the locals say Aluk To Dolo that means “Ways of the Ancestors” is a mountainous region surround by traditional houses with intricate carvings. 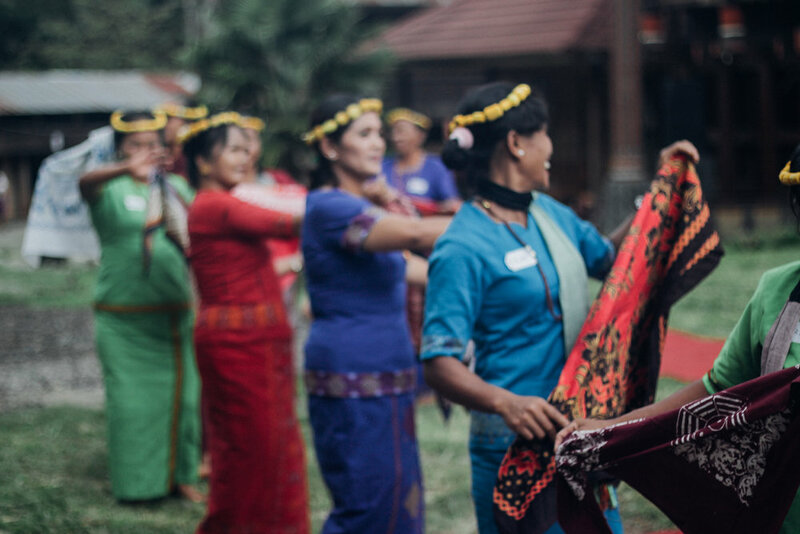 We were greeted by the warm welcome of locals and weavers around the island, mostly women with weaving skills that are ingrained in their memory passed from generations. We watched the sunrise from 1500m above ground up in the mountains where the clouds entered our home, enjoyed many discussion on how best to eat a durian and feasted on traditional Toraja cuisine prepared by Chef Antoine Audran. 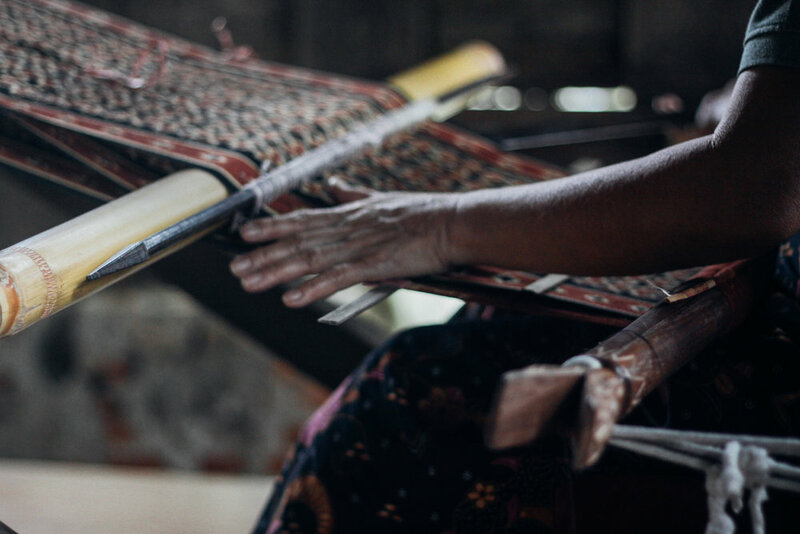 During our encounters we met Ibu Dinny Yusuf, a pioneer who founded Torajamelo, a foundation focused on empowering women through weaving creating a better work-life balance to overcome poverty. We are reminded once again that education is key to Indonesia, the lack of education for the young generation is a problematic issue in many rural parts of Indonesia and only education we can empower young women and men to believe in themselves and elevate their confidence. Once again we are humbled by this experience and we hope that we can visit Tana Toraja again soon. What comes to mind when you hear the words women and entrepreneurship? What are you associating with when you’re coming across women-led businesses? Are you a woman entrepreneur yourself, wanting to share your thoughts and experiences on what it takes to run a business? 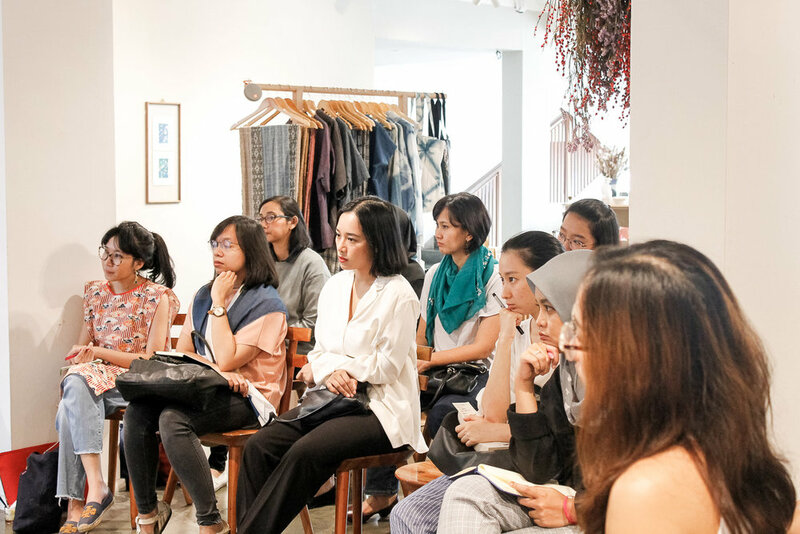 On Saturday, 9th of March Canaan and Ayu Larasati on behalf of Unearth space collaborated on Unearth Real Talks where women entrepreneurs openly share and reflect on issues ranging from applying personal values into our businesses, dealing with impostor syndrome, and what it takes to keep going. Together with Maesy Ang from Post Bookshop, Dian Elvira from Kemala Homeliving and facilitated by Ika Vantiani we had a open gathering with 19 other participants who attended. We had 17 amazing ladies and two awesome guys who paid to attend our first talk. It was a very heartfelt discussion where each of us shared our experiences and a lot of notes were taken. The moment we have been waiting for! 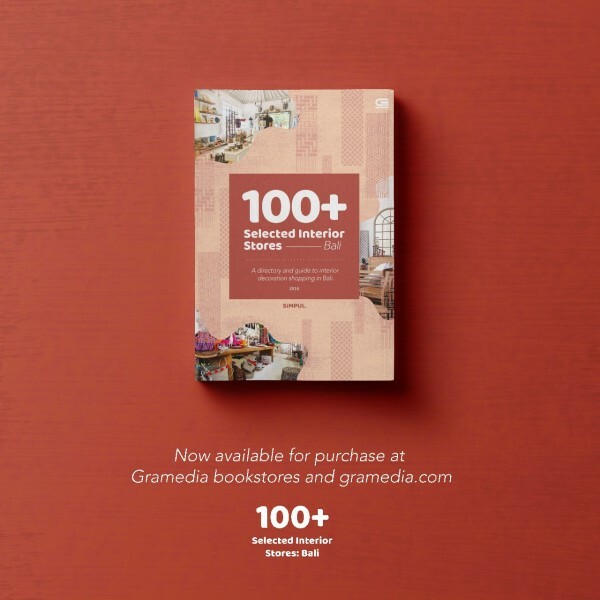 Simpul Group an Indonesian-based publishing company together with Bekraf, The Creative Economy Agency under President Jokowi has published its latest book titled 100+ Selected Interior Stores: Bali. We have been selected as the Top 9 Brands! A great finish to 2018 after a hectic year learning new things such as working with various social enterprises, launching exhibitions, working with art foundations, opening a new store in Jakarta and the list keeps growing. We always say time and time again we are not just a retail store, we are more than that, ten years from now hopefully people will see us as a platform of creativity, community and collaborations. Our products are the facade of our business but the stories we tell through our various engagements of events, workshops and exhibitions hopefully will shine a light to Indonesia’s wealth of creativity and resources. Indonesia Now is a showcase of archipelago-wide creativity and craftsmanship curated by Potato Head and Bobobobo. The exhibition highlights some of the most interesting homegrown talent across art, music, fashion, food and craft, serving as a celebration of contemporary Indonesian culture through our eyes. Designed as an annual exhibition and traveling kiosk, Indonesia Now launched at Desa Potato Head on the 22nd of September 2018 as a one-day street carnival before popping up at a selection of festivals and events around the world. I wanted to show something earthy and nostalgic of Bali’s climate. I was inspired by Mount Agung and how it’s still viewed by locals as a majestic being—all powerful and mystifying—and an incense burning with fragrance nodes is a scent synonymous with Bali, where Canaan is from." 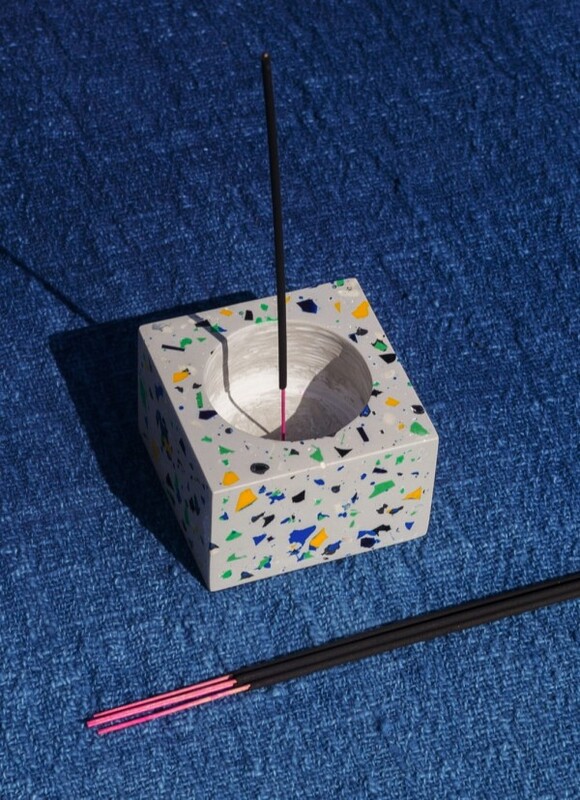 Canaan x Indonesia Now Incense Holder is available to purchase at here get your hands in one of these limited produce! In our Journal readers can get up to date information on what we’re up to such as upcoming events, collaborations and interviews.